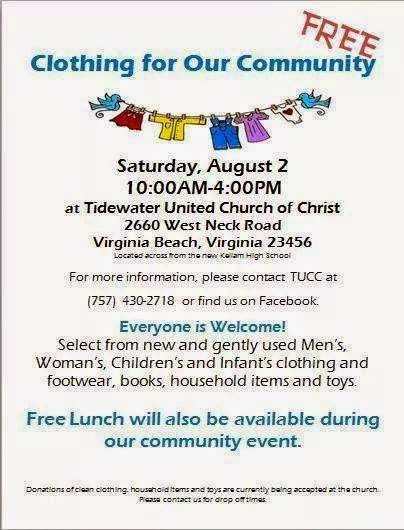 Check out the free clothing distribution at Tidewater United Church of Christ at 2660 West Neck Rd. this Saturday from 10:00 am - 4:00 pm. There is clothing of every size for children through adult. Free lunch and hourly couponing classes being offered at this event as well. The church is located across from the new Kellam High School on West Neck Rd. Everyone is welcome!